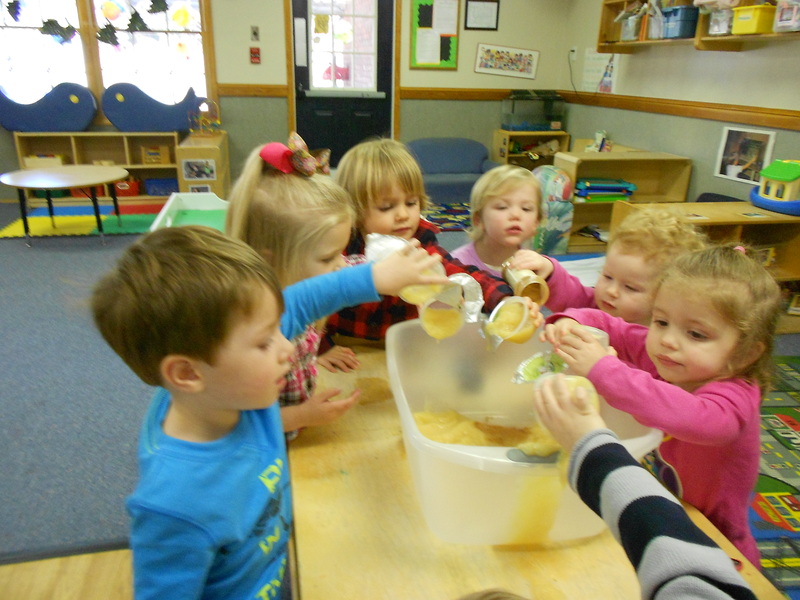 Our Senior Toddlers are generally 24 months to 36 months of age, however, all of our programs accelerate or decelerate the progress of our student body based on the individual needs, the developmental level, and the accomplishments of the child. Favorite Time Academy places great emphasis on the individuality of each child. Our caring and knowledgeable staff along with our degreed Team Coach, Elizabeth Walker, Owner, are passionate in the care of young children. Together, with our Team Captains, they provide the environment for your toddler to grow and develop at his/her own pace in an atmosphere of comfort, security and love. We further enhance that uniqueness by offering a low teacher/child ratio which allows time for positive interaction between the teacher and toddler. Individual uniqueness and growth is a key concept in our program combined with a daily emphasis on group activities and appropriate behavior and interaction with others. 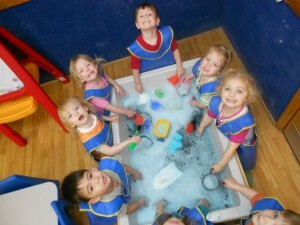 All children are given opportunities to develop their unique personalities, self awareness, and social skills through various games, center or zone play, and indoor/outdoor play activities. 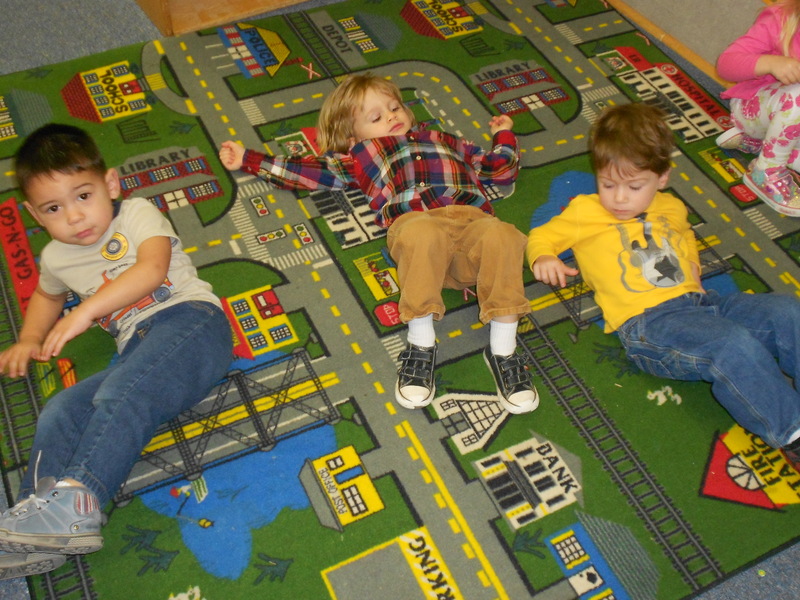 Favorite Steps℠, a Creative Curriculum approach to learning, places emphasis on learning through play. When children play they are generating many connections and neural pathways within their brain. Play is a critical component because it motivates a child to interact with others and the environment. We provide a safe framework where your child plays, learns, and develops as they explore and experience the various centers or zones and structured activities. Incorporated into our program is an emphasis on communication and and language skills. Our lesson plans are designed to keep toddlers’ young minds as active as their toddling bodies. 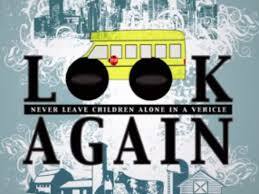 We introduce many concepts including colors, shapes and community helpers. 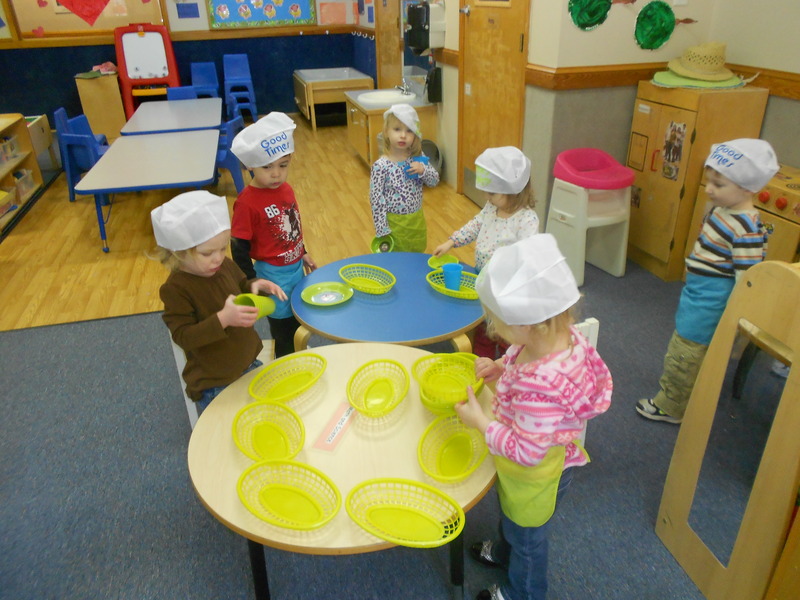 Self help skills such as feeding themselves, beginning potty training, dressing skills, independence, and self confidence are fostered in our young toddlers. We offer activities for children to explore their world through art, music, and creative movement in a challenging and stimulating environment. Favorite Time Academy’s computer labs will also start to play an increasingly important role in the program curriculum. Our specially designed playground, as well as our water park, provides the much needed physical outlet for these very busy young children. 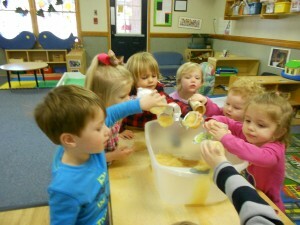 We would like to welcome your child to our Senior Toddler Program. We would be delighted to share with you the excitement and joys of your child’s transition from toddlerhood to childhood and their day-to-day development during this exciting process.